A Nov. 1 Public Commissioner hearing at Mission High School regarding the infamous “Monster in the Mission” development was cancelled abruptly after Principal Eric Guthertz received a mysterious call, warning of violent protests being planned by opponents of the development. 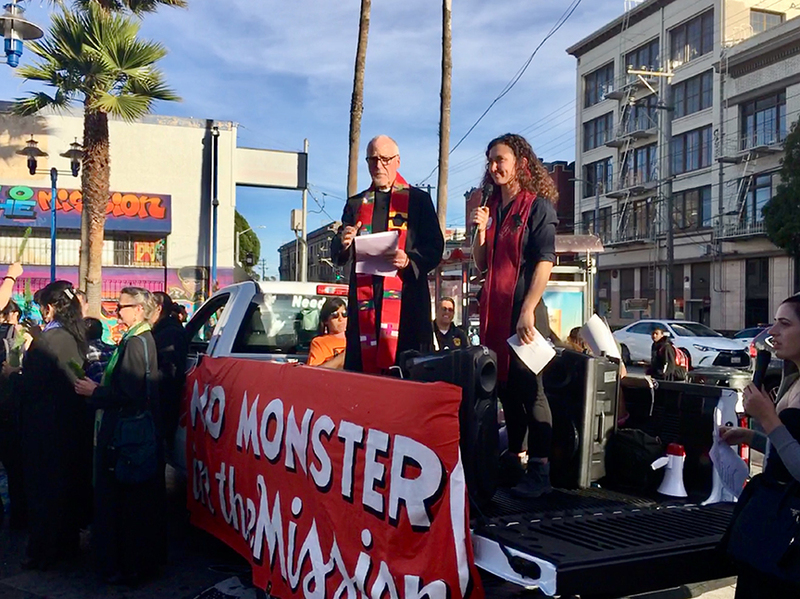 Community organizers and advocates such as Plaza 16 Coalition, Mission Housing Development Corporation and Poder held a news conference outside of Mission High, the day hearing had been set to take place. Chirag Bhakta, an organizer for Plaza 16, explained the reason for the cancellation to supporters, informing the crowd that person who made the call to Principal Guthertz was affiliated with Maximus Real Estate Partners, the developer behind the Monster in the Mission. The caller initially misrepresented themselves to Guthertz as a representative for the San Francisco Planning Department, which prompted the fear that axed the hearing to protect the school’s scheduled open house night. “When I asked these phone callers where they were from, they first claimed to be from the planning commision, but then admitted they were from Maximus,” Guthertz said in a statement included in a press release from Plaza 16. 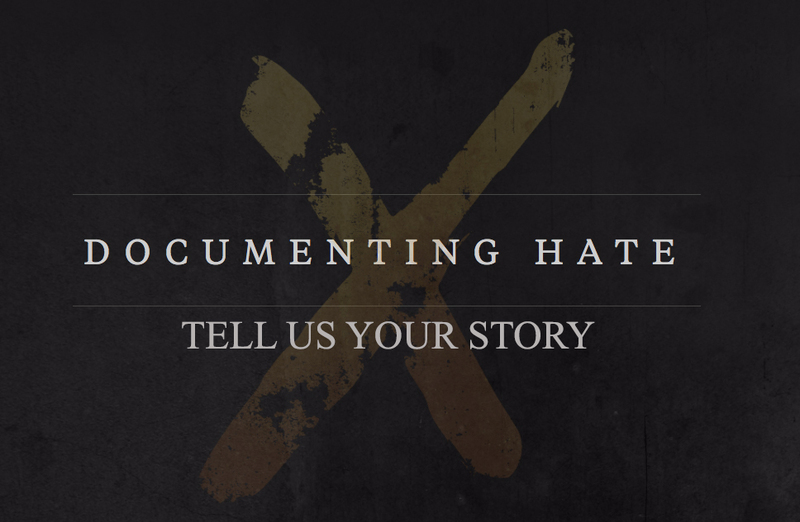 Bhakta denounced the deceptive tactics while leading chants with a microphone such as “Aqui estamos, y no nos vamos,” on the bed of a rented pickup truck. The last revised plan for the development, which was brought to the Planning Commissioner in 2015, had 41 “middle-class” apartments up for sale in the mix-use complex. According to Maximus’ website, the income from the luxury apartments would fund 49 “below market rate” (BMR) units in other areas of the neighborhood. Maximus, a New York-based company, hired San Francisco-based political consultant Jack Davis in 2014 to spearhead a campaign to “Clean up the Plaza.” Many people felt that the “clean up” was derogatory towards the neighborhood and its residents. Plaza 16 and civil activists came together, again, to protest Maximus’ efforts of garnering support for the project in the community, according to 48hills.org. 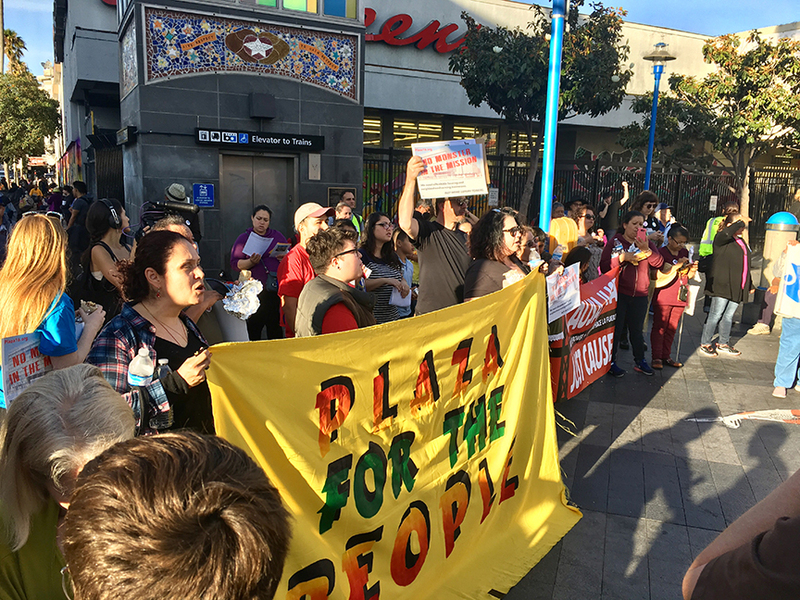 The rally at Mission High School eventually migrated to the 16th Street BART Plaza as community members sang in Spanish and English, and a large yellow sign held high for all to see read: “Plaza for the People.” Organizers passed food around to volunteers and supporters. “We all gather at the Plaza. This is the place where we support one another,” Rev. Santos said. Arellano provided a letter that was sent on behalf of Maximus to Mayor London Breed and the San Francisco Planning Commission, which requested a rescheduling of the canceled meeting as soon as possible. The letter was sent by Nielsen Merksamer, the developer’s lawyer located in San Rafael, CA. Arellano said in his statement that Maximus provided alternative locations before the scheduled hearing, but “all the locations were rejected by Plaza 16.” He wrote that Plaza 16 “has every incentive” to stop the project indefinitely. Mission for All LLC, a Maximus-funded group, also held a rally on the steps of City Hall in support of the project. “They will continue to make their voices heard, despite Plaza 16’s attempts to suppress their message,” Arellano said of Mission for All in his statement. Leaders for Mission for All did not answer El Tecolote’s request for a comment. A new public hearing is now in the works, but will not be held until sometime in 2019. Both parties have expressed disappointment for the continued obstruction of progress regarding the development. Plaza 16 has also made a counter proposal for a project called the “Marvel,” a 100 percent affordable housing alternative to the Monster.